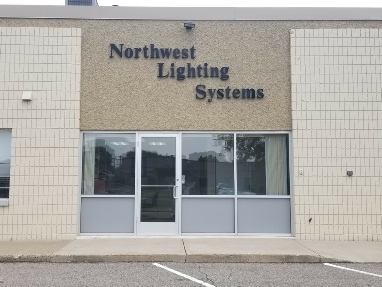 Northwest Lighting Systems was started in 1991 by Jim Miller. 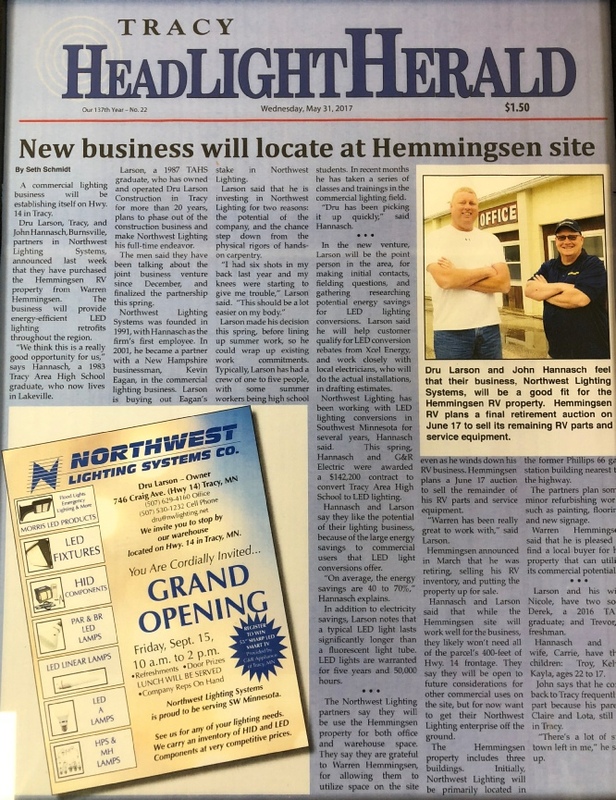 John Hannasch was the 1st employee. We started out by selling HID components to around 3500 contractors around the country. In 2001, John, along with Kevin Eagan, bought the company from Jim and continued to mainly sell HID components until LED came out in about 2013. At that time, we went from selling all over the country to being more of a service-oriented distributor. In 2017 Dru Larson bought a majority of Kevin's shares and we opened a warehouse in Tracy, MN. 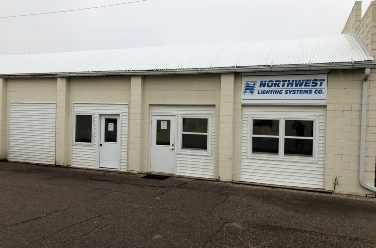 From our humble beginning with one location in Minnesota in 1991 and have grown to have three stocked warehouses to enable quick delivery to all states. Our goal is to provide knowledgeable and experienced staff who ensure you get the right parts for any lighting project. We make buying electrical parts easy. We will supply all your lighting needs and we will even come out to your location to give you a custom lighting evaluation. 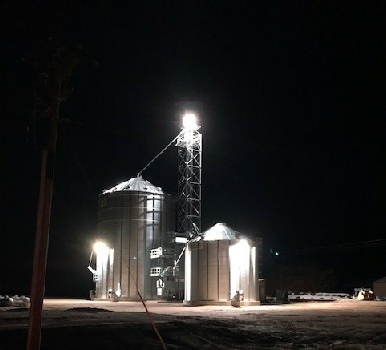 A grain setup we recently completed using 1- 380W and 2-230W fixtures.